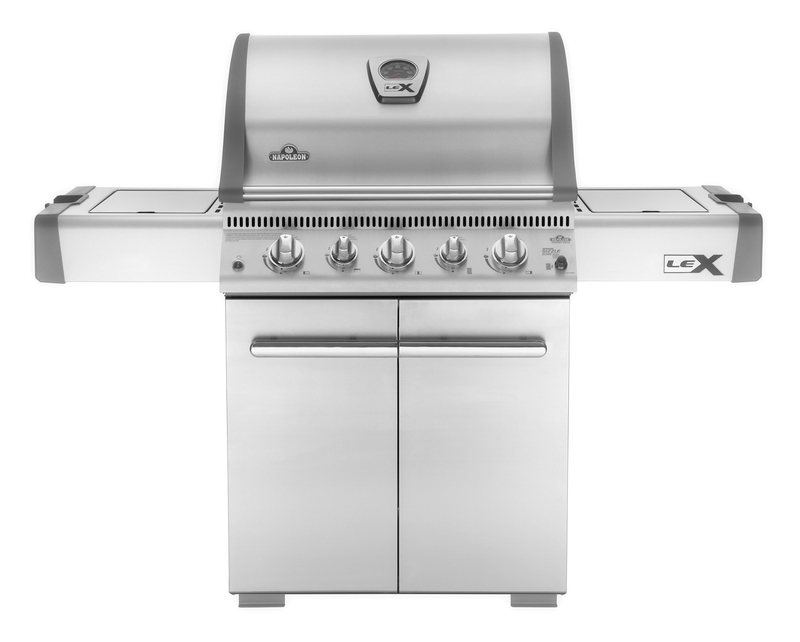 Napoleon’s LEX485RSIB Gas Grill has everything you need for an outdoor kitchen experience. The high quality stainless steel gives the look and durability of the most expensive grills, but at an affordable price. 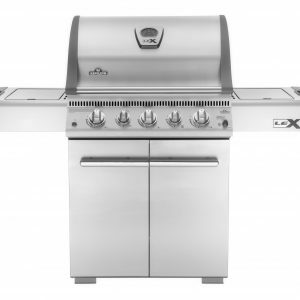 Get the whole outdoor cooking experience with three stainless steel burners, each with its own backlit control knob, an infrared rear burner for rotisserie cooking and an infrared side burner for high heat searing. The large stainless steel side shelves make this grill an all in one prepping and entertaining station. 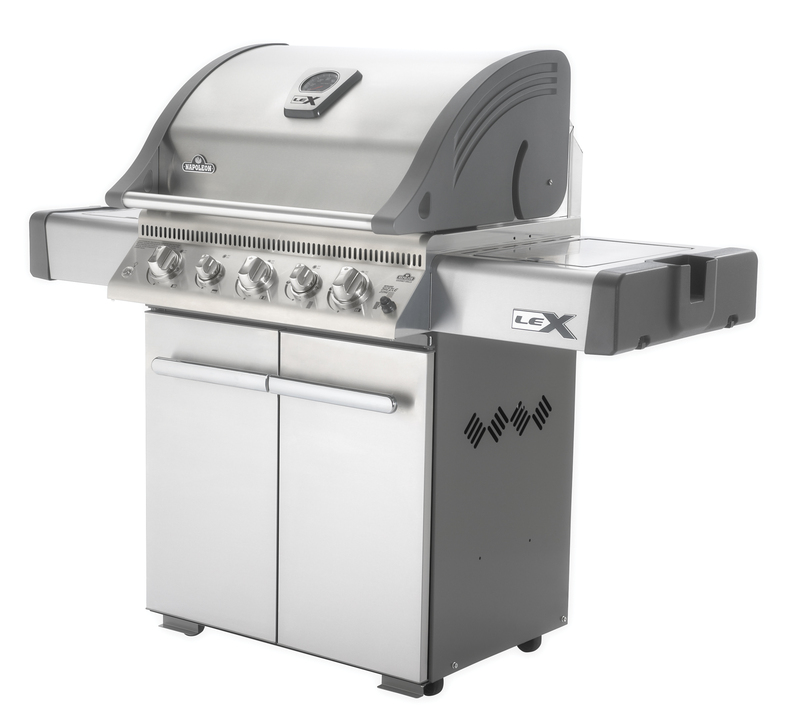 With an integrated ice/marinade bucket and cutting board on one side and the infrared burner on the other, the possibilities are endless on your LEX485RSIB.